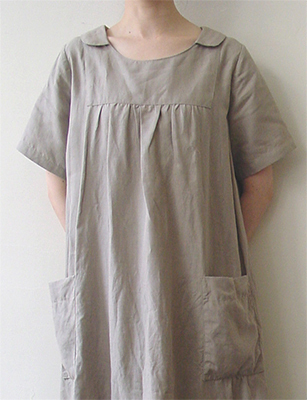 ※The dress in this image has 118cm(46.46in) length. longer than the original pattern. 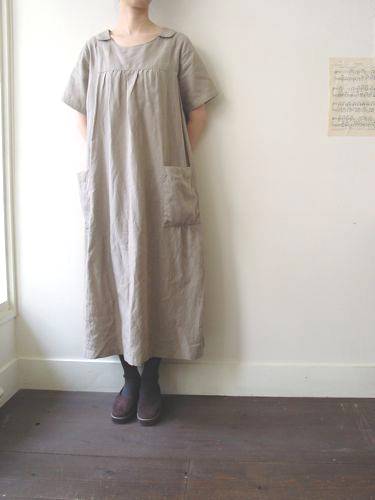 Excellently confortable 'tablier' style pull over dress, inspired by an painter's apron which Tove Jansson (1914-2001,author of The Moomins, in Finland) wore in her portrait. You can also make it without collar to have traditional 'tablier'. The large size pocket is also useful for any type of works. 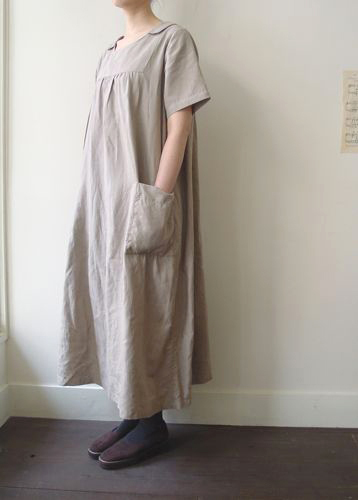 The pattern for the sleeves also contains both of half length and three quarter length. Length of the pattern is 98cm(38.58in), and the one in the image is elongated to 118cm(46.46in). You will need 40cm(15.75in) more for 110cm(43.31in) width or 150cm(59.06in) width fabrics to elongate as above. to meat the bottom line. 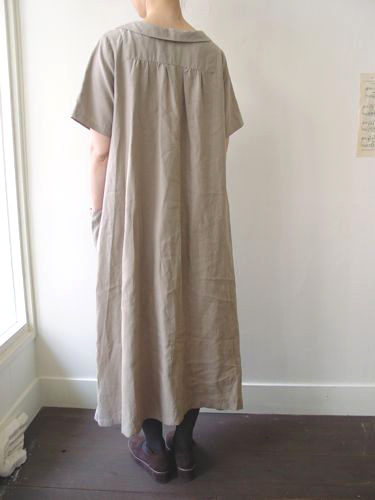 You will need 40cm(15.75in) more for both width fabrics to have it elongated to 118cm(46.46in).